Enjoy a delicious and nutritious ‘just add hot water’ porridge with real plant based ingredients that contain the perfect balance of fibre, good fats and complete protein. 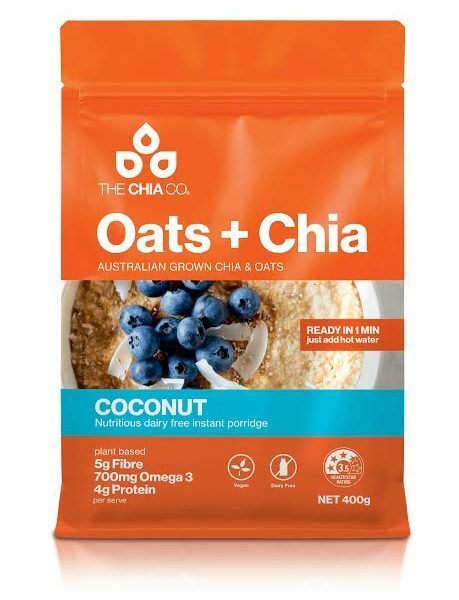 Oats+Chia is blended with premium Australian Grown sun ripened chia that has the highest source of omega 3 ALA, Australian grown oats that provide a high source of fibre, pure dried coconut milk and raw coconut flakes that add a delicious dairy-free creaminess. 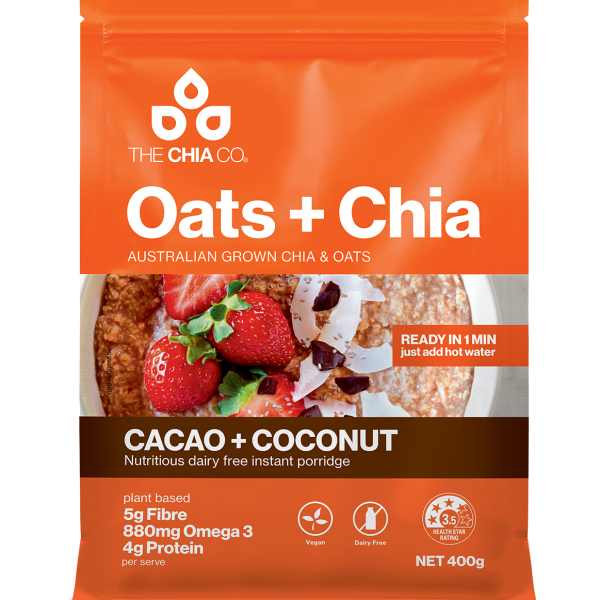 Lightly sweetened with low fructose and low GI coconut sugar, our Oats+Chia are a positively simple and healthy everyday breakfast. 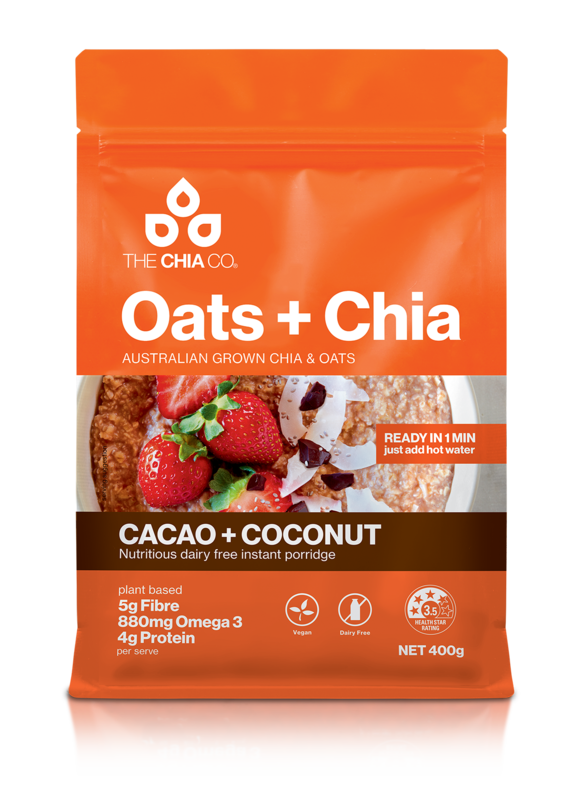 Enjoy a delicious and nutritious 'just add hot water' porridge with positively simple plant based ingredients and 100% Australian Grown chia and oats - the perfect warm breakfast at home or at the office. Wholegrain oats, White chia seeds, Coconut sugar, Coconut milk powder [Coconut milk, Maltodextrin (1400), Modified food starch (1450), Desiccated coconut, Organic cacao powder, Natural vanilla flavour. Eat chia, every day. Chia provides essential nutrition often lacking in modern diets. Chia is high in both soluble and insoluble fibre, essential for good digestion and maintaining healthy levels of cholesterol. Coconut milk powder gives a creamy dairy-free texture while providing healthy, medium-chain fatty acids.